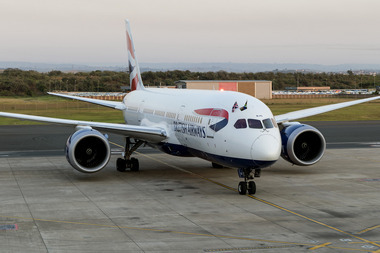 Earlier this year British Airways announced that it would be inaugurating a new non-stop route from London's Heathrow Airport direct to Durban. 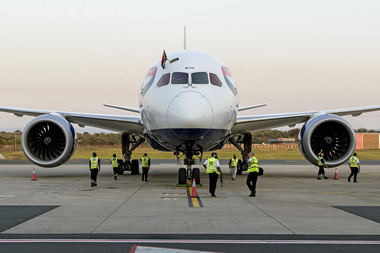 The wait ended on Monday when the Boeing 787-8 Dreamliner, registration G-ZBJG, touched down at King Shaka International Airport. The aircraft (Flight BA 41) landed around 20 minutes ahead of schedule just after 5am, it had been scheduled to land at 5:30am. The advanced design of the 787 will make it a popular aircraft with passengers. The BA configuration on this aircraft is in three cabins. There are 154 standard seats, 25 recliner seats and 35 flat-bed seats. The advanced pressurisation and increased moisture content in the cabin air, as well as having larger windows will make for a far more comfortable flight. The aircraft is also very quiet and fuel efficient. The flight (BA 40) leaves at 07:35 from Durban and lands at 16:45 (local time) in London. ACSA had organised airside access for the event but due to the fact that the international ramp is behind the terminal this meant we were unable to get photographs of the landing. 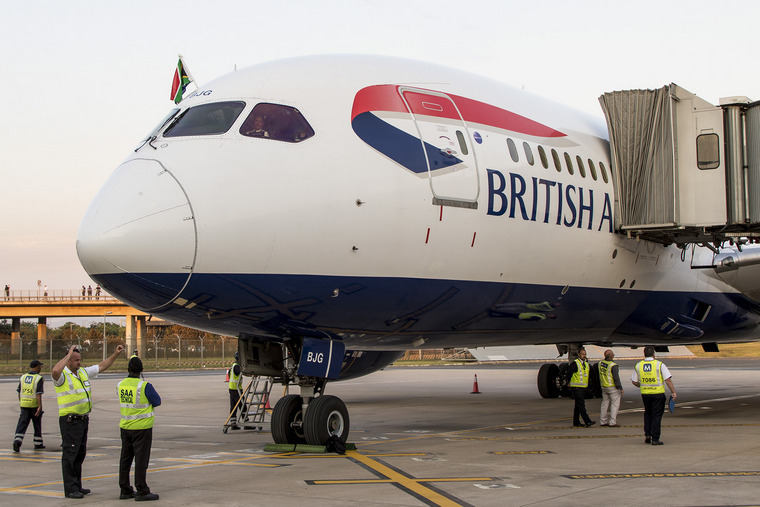 This aside, it was wonderful to see the aircraft pull up to the ramp with the flags of South Africa and the Union Jack proudly flying from the cockpit hatch. 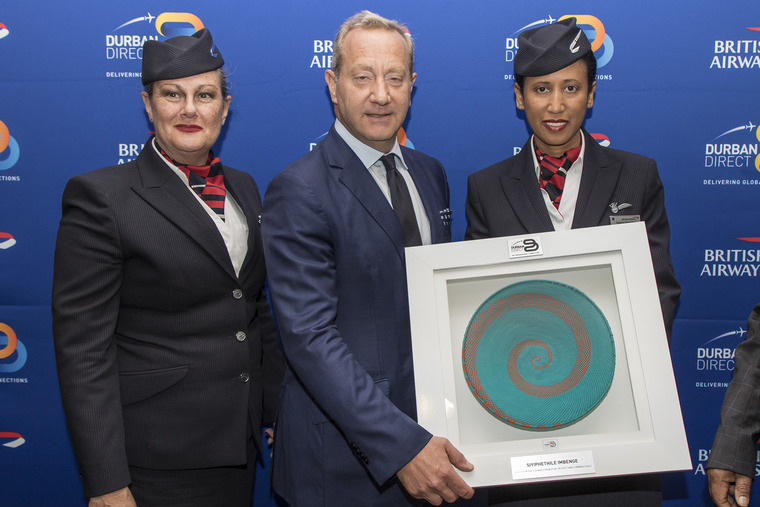 The flight had a virtually full complement of passengers, including those that had paid (enjoying a special introductory rate), together with some VIPs and media people. 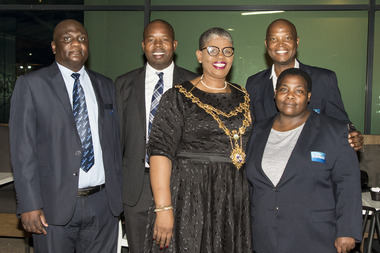 The aircraft was met by the Mayor of Durban Zandile Gumede and the MEC for Economic Development, Tourism and Environmental Affairs, Sihle Zikalala as well as other dignitaries and a contingent of media people. 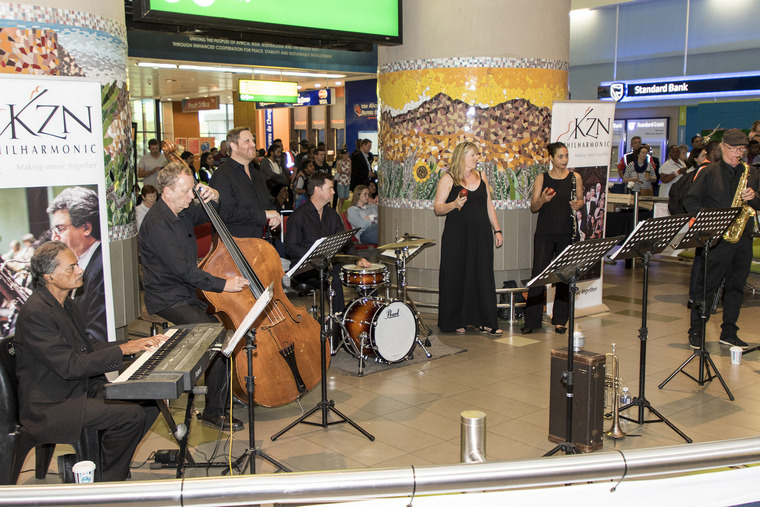 The flight carried some actors who portrayed the Queen and the Beatles and they were met by the locals dressed as a rickshaw runner and a surfer as the KZN Philharmonic Orchestra played to welcome the passengers and crew. The traditional fire engine water canon salute was dispensed with at the request of British Airways for, it is believed, safety grounds. 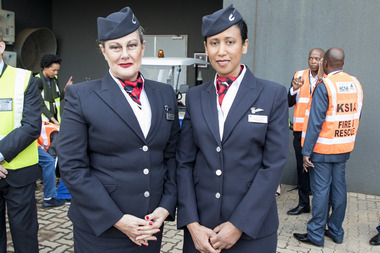 The inaugural flight took place at a time when the KZN government was implementing the Aerotropolis initiative, which aimed to develop a 21st century city around King Shaka International Airport. It will offer businesses speedy connectivity to suppliers, customers and enterprise partners nationally and worldwide. Prior to this flight around 100 000 passengers a year flew (indirectly) between Durban and London. It was necessary for all of them to change flights to get there. Now that they are able to conveniently fly direct, it is anticipated that the number will increase. The result of this will be greater trade between the two centres and this will be an obvious boost for business and the tourism industry in KZN. The aircraft turned around just over two hours after landing for its trip back the Heathrow's Terminal 5 with virtually all the seats filled. 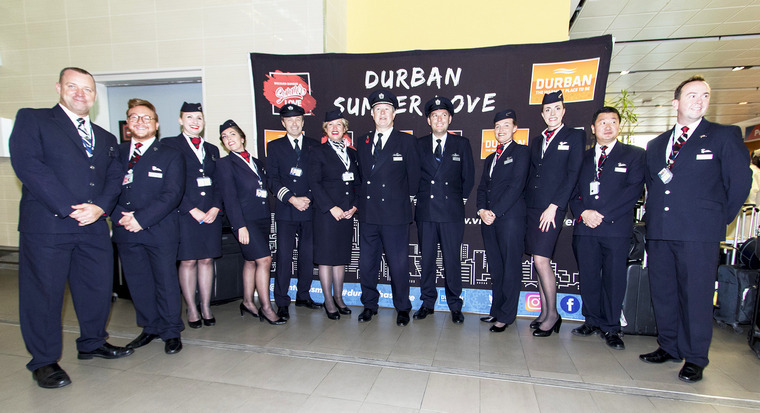 In the beginning British Airways will fly this route three times a week landing in Durban on Tuesdays, Fridays and Sundays and departing the same days. Later that morning a very well attended Media Briefing was held at the Oyster Box Hotel at Umhlanga Rocks. A large group of journalists, videographers and photographers joined the many role players that made this event possible. Master of Ceremonies and Chief Executive Officer of iDube TradePort, Hamish Erskine set the scene and introduced the main speakers. Erskine said that he sees a strong demand for this route in future. 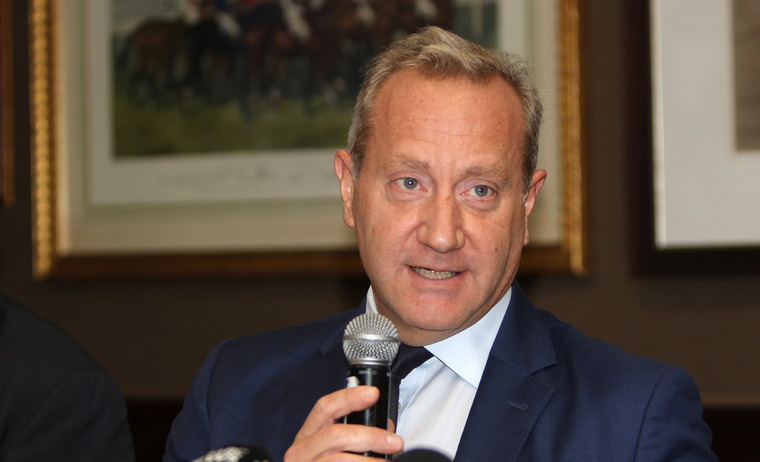 He said that airfreight volumes between Durban and London are in excess of 1500 tons per annum presently and that this was likely to increase. 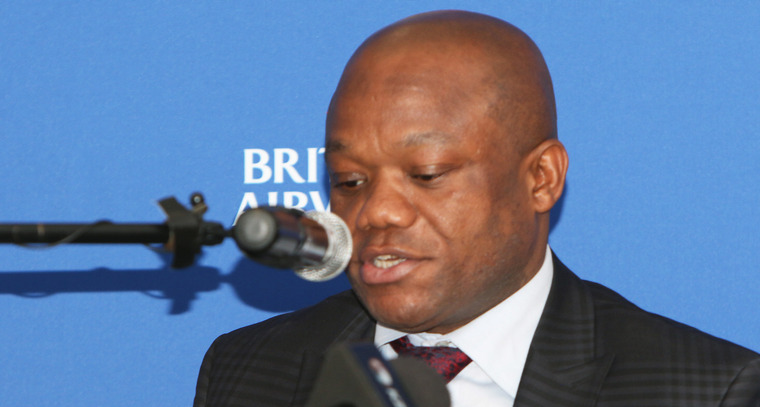 First to talk was Durban City Manager, Sipho Nzuza who welcomed this initiative by British Airways saying it would be a boost for the city and for the province. 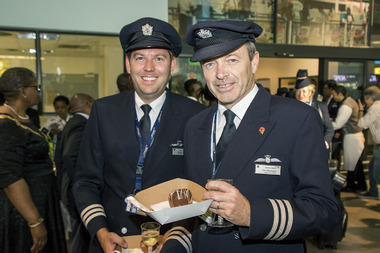 He was followed by British Airways' Paolo de Renzis, Commercial Manager Europe Corporate Sales & Africa, Levant at British Airways & Iberia. De Renzis was among the first passengers to disembark in Durban. De Renzis said, "Since we announced the new route in May, there has been a great deal of excitement about it. The travel, trade business interests, government and the public all appreciate the benefits of the move." 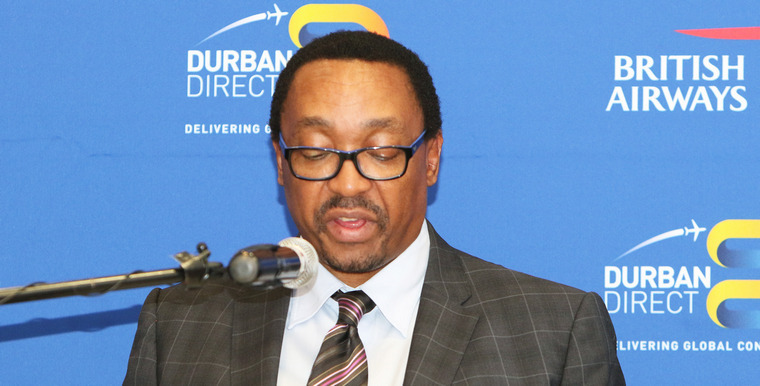 He said that King Shaka, "being such a good airport," meant that it was possible to look at this direct route again. In fact, the airline had used the airport as part of its Airbus A380 training. He said British Airways celebrates the 100th anniversary next year and was currently developing it biggest route network ever. By Summer 2018 it would have 264 routes worldwide, 17% more than the previous summer. BA currently has 72 aircraft on order including A350 and B737-10s. 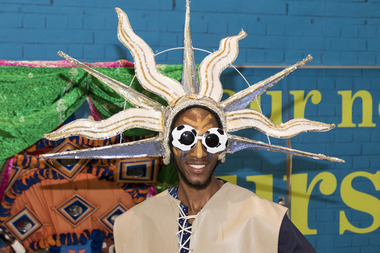 New routes included the Seychelles, Las Vegas (from Gatwick), Nashville and Charleston. One advantage for passengers on the new route would be the simplicity of connecting to flights to the United States. Last to talk was the MEC for Economic Development, Tourism and Environmental Affairs, Mr Sihle Zikalala. 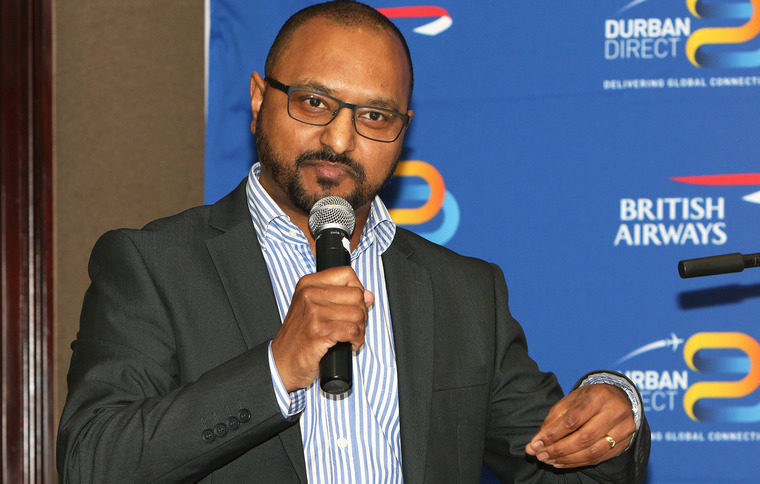 He stated, "Having direct flights between Durban and London will undoubtedly spur growth in tourism and trade for both destinations." After he finished his speech the floor was opened for questions from the floor. In answer to one of the questions Terence Delomoney, ACSA General Manager said that King Shaka International handled 4.4 million passengers per annum when it opened in 2010. This has grown to 5.6 million last year and this year was forecast to be 5.9 million. This increase of around 8% per annum was significant, around 5 to 6 times more than the GDP. Then guests enjoyed drinks and snacks and a lot of networking was observed. All in all it had been a significant step forward for KZN and we can look forward to further expansion of this service and for the benefits it will bring to the region and the country.